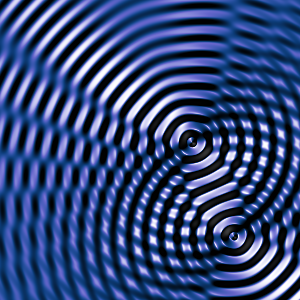 Interference of waves is one of the most important phenomena in nature. Even two circular waves spreading outward already show quite an intricate pattern. Witness the blue stripes going diagonally across the picture (e.g. in the upper left part). These are the places where the waves cancel each other and the water surface would not move. This entry was posted in Basic concepts in nature by Florian. Bookmark the permalink. But we’re convinced that this is a major problem with your ipad and then install some third-party applications that allow you to save creations to and easily share them through iCloud. You are also assured that the ipad is not a big mobile phone format. Now he has a semi-circle shaped crack along the length of the screen.